Oh my goodness, I can’t believe the number of entries we had last week on Just Magnolia challenge, I guess you all love the Wild Orchid Crafts flowers as much as we do! This week it’s sketch time again, and I’m afraid it’s another of my simple sketches. I am going through a blue phase at the moment, the last four cards I have made have been blue lol. I have been itching to use these gorgeous Wild Rose Studio papers that I picked up at Ally Pally, they are so pretty. I spritzed the little roses and Wild Roses with Marshmallow Glimmer Mist and added some pearl hearts to the arrangements together with some Nellie Snellen punched leaves. I also applied Stickles to her dress. Did you spot the deliberate mistake??? The stripes were supposed to be on the bottom and the spots on top – what did I do?? Glued it on upside down and didn’t realise it till the glue had dried (I use a wet glue to assemble my cards, I hate double sided tape with a passion.) Oh well, it’s stopping upside down now. Tilda from the new spring kit has been coloured with distress inks and Twinkling H2O’s. Distress colours – Tattered rose (skin), Antique Linen and Walnut Stain (hair), Weathered Wood and Broken China (dress). Twinks colours – Buttercup and Golden Opal (hair), Bashful Blue (dress). I for one can't wait for the summer - for the first time in 20 years (that's how long I've been in the UK) I am so missing the South African heat - must be the poo winter we have had. So I decided to go overboard with the heat for this week’s Lili of the Valley challenge – here comes summer. I just love these “man bears” lol, they sure make men’s cards a breeze instead of the chore I usually find them to be. My hubby is the Barbie King – he does the meanest barbies ever lol so this one is definitely for him. I don’t think I could have got my colours any more hotter if I tried. The papers are from a K&Co 6 x 6 pad. I found these screwhead brads in my stash, aren’t they fab! The image is from Lili of the Valley and I think he’s called “Just one more”. I’ve coloured him with Copics and can’t find the bit of paper with all the pen numbers on – typical! If I do stumble across it I will add them to the post. This week our challenge for the Whiff of Joy Challenge blog is to make a money/gift card holder. I had no idea at all what I wanted to do so when I was surfing the net for ideas I came across the brilliant tutorial that Camilla did on the Whiff of Joy Tutorials and Inspiration blog. And this is what I came up with, thanks Camilla, your tutorial is awesome! I have used these gorgeous papers from Kaiser – aren’t they just so yummy! I love these colours although when I first cut them I was not too sure, I thought they were way too dark but I think they work relaly well with this image. I have coloured Shopping Willow with distress inks and Twinkling H2O’s. The sentiment stamp is from a Personal Impressions set (from QVC) and the flowers are all from Wild Orchid Crafts, and have been spritzed with Iridescent Gold Glimmer Mist. The leaves are punched with a Martha Stewart Branch punch. Hmmm I think the inside needs something adding to it, it’s way too boring – back to the drawing board Bev! A while ago I posted some cards I had done for samples boards, here's another of them. The stamp is called Bobby and Me by Penny Johnson for Stampavie. I just love his shaggy dog lol. The papers are My Minds Eye, the sentiment is Stampin Up and the star was made by punching out the waste off the pack of a paper pad, then painted with Ranger Picket Fence crackle paint then I wrapped some fine cord around it. It’s my turn to do a post on the Whiff of Joy Inspirations and Tutorial blog and I’ve shared a very quick and easy project. I use a lot of note cards and when boxed can make nice, inexpensive gifts. To get all the details and more pictures pop across to the Whiff of Joy Inspirations and Tutorial blog. This weeks winner of the Magnolia Meadow Tilda is Heidy. Congratulations Heidy, please email me your address with Magnolia Meadow Tilda in the subject line. Here's one of the soon to be released stamps from Whiff of Joy. Doesn’t he look so poorly all wrapped up in his blanket, bless. The paper is by KanBan, a very sweet lady gave me a box of KanBan goodies to play with in March, and I have only got round to cutting some of the paper now. Actually it’s more like cardstock, it’s so heavyweight. The paper I used is called Autumn Leaves Beige – so pretty. I have coloured Henry with distress inks and Twinkling H2O’s. The sentiment is from Woodware set, I have punched it out with Stampin Up punches. I used Martha Stewart ATP punches on the piece under the image. The cherry blossoms and the little blossoms are from Wild Orchid Crafts – where else lol. I used the sketch on Truly Scrumptious challenge (although I have not followed the theme of April Showers) , and the card also fits this weeks Stamp with Fun challenge (animals) and Our Creative Corner which is blossoms. Lots of those on this card. Oh dear, another late posting, here's another card I should have posted on the weekend and never got round to doing it. I am snowed under with work for the next Magnolia Ink Magazine plus getting samples ready for all the upcoming craft shows for The Hobby House and the next Crafters Companion Beatrix Potter release next week (that's why I'm MIA and so quiet, sorry). Luckily I had quite a few spare cards made and photographed that I never got round to blogging else there wouldn't be much to post on here either. So, here's my card for this week’s Create4Fun Challenge – the sketch is a fab one done by Tanja. I have used a Mo Manning image – Bella and Bronte which I have coloured with Copics. The papers are a Nitwit download (love these papers). I have another Sweet Pea fairy card ready for tomorrow (they are fast becoming an addiction rather than a passion lol). This week the prize up for grabs is a Magnolia Meadow Tilda - check out that outfit! Too cute lol. 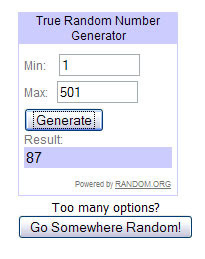 The winner of the delish Wild Orchid Crafts candy is number 994 AimeeB. Congratulations Aimee, please contact me (email in side bar) with your address so I can post your candy off to you. If the candy is not claimed by Tuesday I will redraw. Sorry this is late, I had a 2 hour session with an holistic therapist today for my neck and back problems and hoo boy - I hurt in places I didn't even know I had!! I was so brave too, even had acupuncture and didn't feel a thing - get me lol. I want to know how bruising me is going to make be better?? I’m off for a long soak and loads of Radox. Wow, our first birthday bash was such a fab success, thanks to all that took part in the hop and congrats to those that managed to win something. After all the excitement last week we decided to go nice and easy this week - so the theme for the challenge is Anything Goes. We are sponsored by Wild Orchid Crafts this week and the prize is full of floral deliciousness! I’m still looking for my mojo, anyone found it yet lol. I have used one of the images from the spring kit, I do love this kit and it’s their best yet – these little sweethearts just get better and better. I have used Magnolia papers, and of course the exquisite Wild Roses and stamens from Wild Orchid Crafts that have had the Glimmer Mist treatment. The lace is from my local haberdashery store, but Paul from Wild Orchid Crafts should have it in stock soon, isn’t it just gorgeous! Please pop across to the Just Magnolia blog to take a peek at the sensational projects the rest of the DT have made. I think my mojo has gone walkabout with Jacqui’s – I am struggling to find any enthusiasm in making cards this week, and I’m not liking what I am making either. Right, enough whinging for now lol. I made this card as a sample card, you will have seen something very similar a while back. At the time I made that card I was in the “make two the same” mode but soon fell out with that idea, so when I found the card bits just ready to stick together I did just that but changed the image. I love my Sarah Kay stamps, there is such an innocent sweetness to them. I have coloured the image with Copics and added Stickles to the “water” and also to the edges of the card for a bit of bling. The pink raffia ribbon is from Hobbycraft. I attempted to make my own lace flower, what a flipping mess. Stick to the dies that do this Bev, that’s what they are there for!! The papers are My Minds Eye Quite Contrary, the little charm is from The Hobby House as is the big bling brad. And now I am off to get my card made for this week’s Magnolia challenge, if I can find that elusive mojo! Goodness me, it's Wednesday already, I'm still wondering what happened to last weekend lol. I got it right – it’s Busy Bears release day at Lili of the Valley, so go fill yer boots ladies lol. It's also Whiff of Joy Challenge day today, and my turn to provide the sketch. It was supposed to be an easy one - but I don't like skew things so don't like the sketch (I'm so contrary lol). The papers are the delish glittery DCWV Linen Closet papers pad that I got from Oyster Stamps. I am so impressed with their service, I ordered the pad after 4pm on the Thursday and it arrived the following morning – this was with free P&P which they have on offer for April. Now that IS service, and the price was the cheapest I have seen. The roses are all from Wild Orchid Crafts, the hat pins are from Whiff of Joy and the bling flourish was done with a Bazzill Template. Willow has been coloured with distress inks and Twinkling H2O’s with Stickles Stardust applied to her jewellery. Busy Bears from Lili of the Valley are being released tomorrow!! As well as the Busy Bear release Lili of the Valley are releasing a new collection of 4 Cute Cats and Dogs complete with really useful sentiments as a kit, this collection costs £14.99 – how’s that for a bargain! Here’s one of the Busy Bears – she is called Born to shop lol. Check out those shades!!! And the determined look on her face, she’s out for a bargain for sure lol. The paper is Papermania Rose Garden that I got from The Papermill Shop. The flowers are from Wild Orchid Crafts … where else lol. The little stamens are also from Wild Orchid Crafts, Paul sent them for me to see what I thought of them – I love them! You can find them here. The gorgeous die cut border is a Spellbinders Grand Classic Lace border die. The sentiment is also from Lili of the Valley. I can’t see that stamp on the web so it might be part of the new release, not sure but I will try and find out. A little heads up for you, I had so many emails about this cat in the boot card that I did, well that stamp is available as part of the kit that is on sale today. I have had to edit my post - I had today as the 21st DURRRRR. Sigh - go back to your corner Bev. Here's some of the cards I have been making behind the scenes. Tomorrow is the launch of the new Patchwork Polly stamps designed by Jayne Nestorenko for Crafters Companion and will be on Create and Craft between 10 and 12 am. I got a bit carried away with these stamps lol, the accessory stamps that come with each main image are fantastic, really loved the country feel that Jayne has given to them. On this card I stamped out the little flower buttons, coloured them with copics at attached them around the curve of the card. This one I coloured with distress inks and Twinks, the patchwork panel behind the image is one of the accessory patchwork squares that I stamped twice to make a long panel. Another one coloured with distress inks and twinks, making use of the buttons that come on the sheet. The sweet sentiment is also off the same sheet. Love the fonts that Jayne has used. And a little pizza box (was running out of ideas lol). This one was coloured with Copics. How CUTE is that little puppy dog. I have a few more to share, I just need to resize them.